TCA works closely with our carrier members to determine their operational challenges. We then work with our associate members to identify and develop solutions to meet their needs and potentially lower their costs. 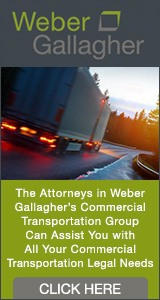 As a motor carrier, you need to protect your relationship with your independent contractors. The National Association of Independent Truckers LLC (NAIT) is the answer. NAIT provides a turn key solution for motor carriers utilizing independent contractors by providing them access to a complete benefit and insurance program. Since 1981, members of NAIT have enjoyed nationwide programs geared to meet their unique needs. NAIT members are entitled to receive exclusive products, valuable services and special discounts Benefits include health & wellness, insurance programs, business tools, and entertainment discounts. Learn more by visiting the TransGuard website or by calling (800) 237-0062.